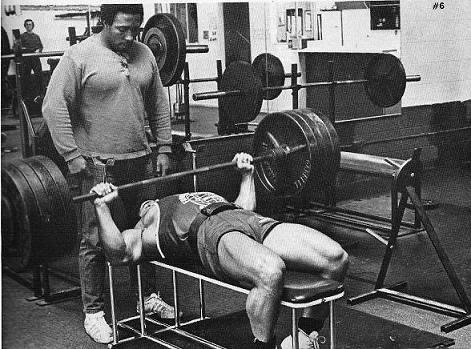 I’ve noticed a trend recently where strength coaches seem to claim that you don’t ever need to deload your training. Sure everyone has their own systems and beliefs but I am particularly fond of when coaches claim that things are completely unnecessary or don’t work. I’m a fan of occasional deloading. Maybe not every fourth week like some coaches, and maybe not in the same fashion, but an occasional deload nonetheless. This is something I first discovered when I was a young lifter and had no idea what a deload even was. I remember having to take a week completely off from training (no idea why) and when I got back into the gym my strength was way up and I felt great. Fast forward to the present and I still deload every so often when my training is feeling sluggish, life is busy or I just feel beat up. I guess this is the first question you should be asking when reading this. After all, more time in the gym should mean better results, right? And who can afford to take a week off or not training to your max capacity? Well, look at it this way: day in and day out you’re in the gym beating up your body. You recover when you’re at home, sleeping and eating. BUT how much do you really recover? Eventually the wear and tear from training catches up to you and you’re progress either stalls out or goes backwards. The breakdown from the gym incrementally adds up. So a deload basically allows your body to catch up, recovery-wise. All that fatigue and wear that has built up over time that your body just wasn’t able to 100% recover from is addressed during a deloading period. Another interesting bit of Science™ that I read recently has to do with the anabolic agents that operate in your body. Without getting too technical, there are a whole host of compounds in your body responsible for building muscle, not only hormones but signaling proteins as well. A study conducted in Japan demonstrated that chronic resistance training actually reduces your sensitivity to some of these compounds – which explains why you don’t continue to put on muscle at the same rate over the years. The study also showed that a short detraining period raises sensitivity back up. Given, the study was conducted in rats but it’s reasonable to believe that the principles transfer over to human physiology. Chalk one up to deloading. Not only do you get to catch up on recovery, you actually make your body more receptive to training again. I have a few different strategies of deloading I like to use depending on the situation – which can mean anything from the program, the goal, the client or just how I’m feeling. At first glance this doesn’t seem like a deload strategy at all, but bear with me. For many people the thing that beats them up most is volume, not intensity. I’m usually one of those and if my training is going pretty well this is the method I’ll typically use. This is also the most common method I write into my programs. For a 4 week training cycle I normally make my final week a low volume, high intensity week. This pretty much means working up to a single, heavy set and then calling it a day. So you’re still getting some heavy lifting in but you don’t have to hit many sets to do so. If I feel like I need to deload because I’m beat up or my training is starting to stall this is the way I go. I drop intensity, volume and overall workload. This is a great full recovery week. Basically you lift seriously light weights for laughably low volume and cut out most of your assistance work. As a general rule I will cut my typical assistance work to half of what I did the week before. Since I usually do at least 4 sets that means that I cut down to 2. I’ll also drop out a few assistance exercises, resulting in a very low overall workload. Depending on the situation this is a different strategy I’ll use. If training is going fairly well but not fantastic this is the route I’ll take. It allows me to get a break from excess volume while still getting a decent amount of work in. You’re not lifting very heavy but you’re not doing a whole lot of volume. Something along the lines of 2-3 sets of an easy 8-10 would fit here. This is a great strategy to use when you need a bit of a break but don’t want to take a full deload like #2. There are really lots of different deloading strategies that you can utilize. You can modify variables like spinal loading or eccentric load. The take-away point to this is that an occasional deloading of some variable will do you a lot of good. Everybody is different and depending on your situation and recovery you may need to deload once every month, every other month or only a few times per year. Only you can know. Use your head and don’t be afraid to listen to what you body tells you. Trying to build muscle and get stronger? Get JACKED now. Training Tails E-Book Is Live!